When Should My Child Receive Orthodontics? Although all kids should have their first dental exam with a regular dentist by their first birthday, the American Association of Orthodontists suggests that every child should see a specialized orthodontist no later than seven years old. Why so young? At seven, kids usually start to receive their permanent adult incisors and molars, which can indicate potential spacing and alignment issues that can develop. And, since starting early allows many issues to be addressed before it’s too late, it’s best to see a professional children’s orthodontist in Mullica Hill like Dr. Colalillo for an exam before your child’s jaw has finished developing. 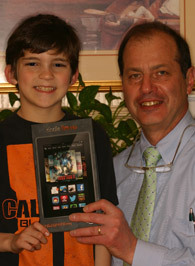 Why Should My Child See An Orthodontist Early? 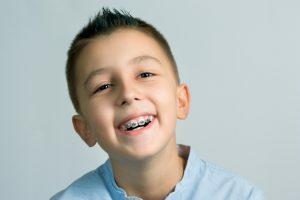 With the natural growth and maturation process, kids have a limited amount of time before teeth end up in their permanent positions – and if we can start interventions like braces early enough, we can craft the perfect smile for your child without waiting to address issues when things are more complicated, and costly. As the saying goes, an ounce of prevention is worth a pound of cure, and when it comes to your child’s teeth this is most definitely true. When adult molars and incisors start to erupt in the mouth, Dr. Colalillo can evaluate your child’s bite and predict future issues by taking a close look at the relationship of the incoming teeth, and how the smile fits together. And, since alignment issues can cause broken teeth, prominent wear and tear and even gum disease, starting at this age will keep your kid’s teeth safe and ensure a healthy smile during orthodontic treatment, and for their entire lifetime. Now that you know why straightening your son or daughter’s teeth is so important when they’re young, schedule your child’s appointment with Alex Colalillo Orthodontics today!